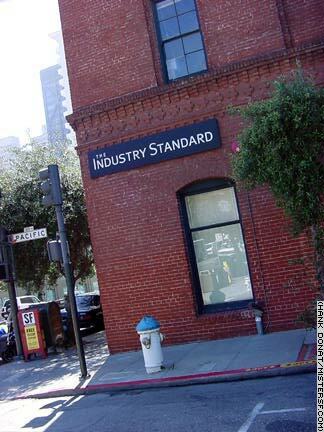 In August, 2001 The Industry Standard magazine, the journal of record for the dot com industry, closed its headquarters at 315 Pacific Avenue, ceased publication and fired most of its 180 employees. Just months earlier its editors had boasted that the publication would fell the mightiest giants of the publishing world. After only a few years on newsstands, the high flying Standard had became the oracle of the tech industry, hiring top reporters away from old economy journals and turning a profit in short order. But that was before dot com companies failed in droves, taking with them the Standard's lucrative advertising revenue. Following layoffs earlier in the year, the publication's owners had hoped to secure a $10 million loan to continue operations. When the loan fell through the decision was made to pull the plug, shooting the final dart into San Francisco's share of the Clinton-era dot com money bubble.